The ultimate soothing spa experience! Orbeez are wet and wacky, soft and squishy, fun and funky! The Orbeez Ultimate Soothing Spa offers the ultimate spa experience! 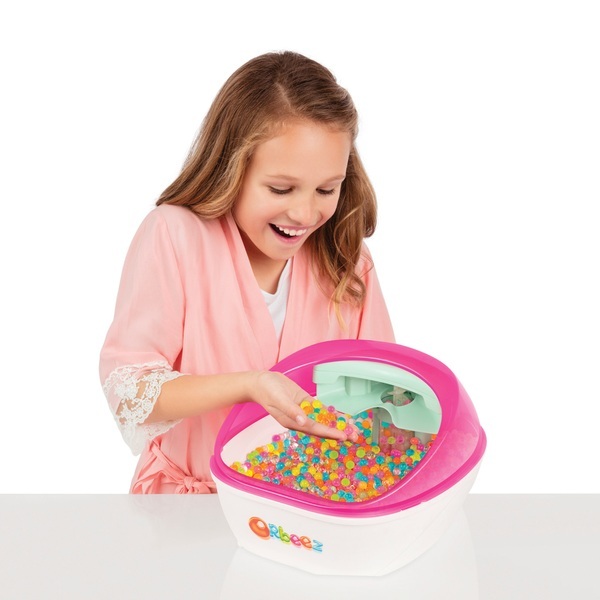 Place the Orbeez in the foot tub and immerse your feet in the squishy softness! Sit back and relax as the Orbeez waterfall caresses your feet! There's a pedicure set with toe separators and pedicure tool too. 2,000 Orbeez included. Orbeez included are multi-coloured. Requires 3 x AA batteries . For ages 5 plus years.